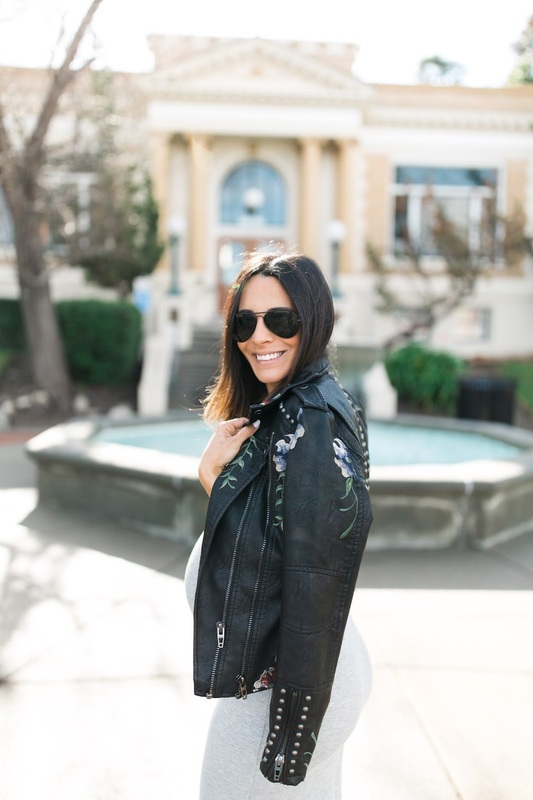 Once I spotted this floral jacket, I knew that I needed this beauty for my winter wardrobe. 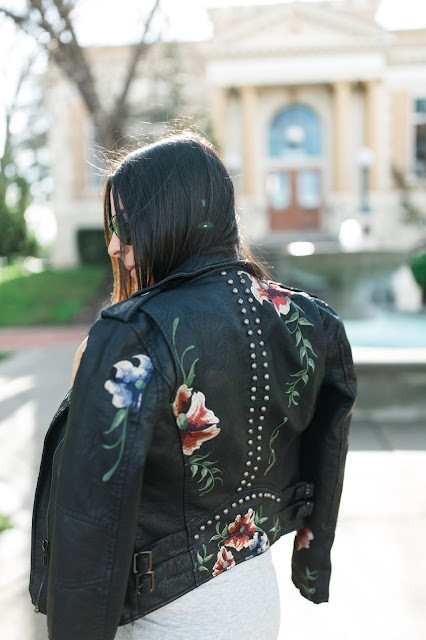 The studded details and bright floral embroidery on my favorite type of jacket made this piece hard to resist. 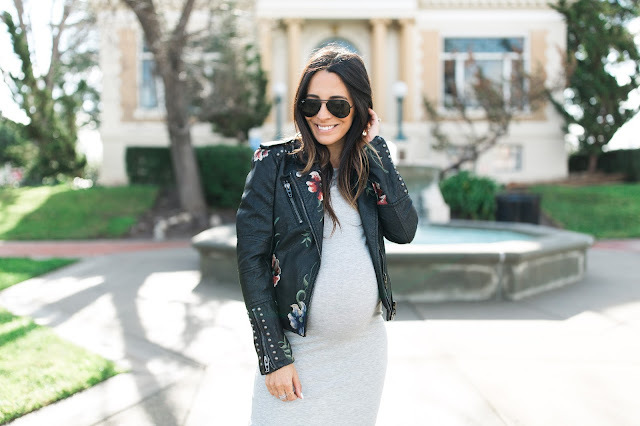 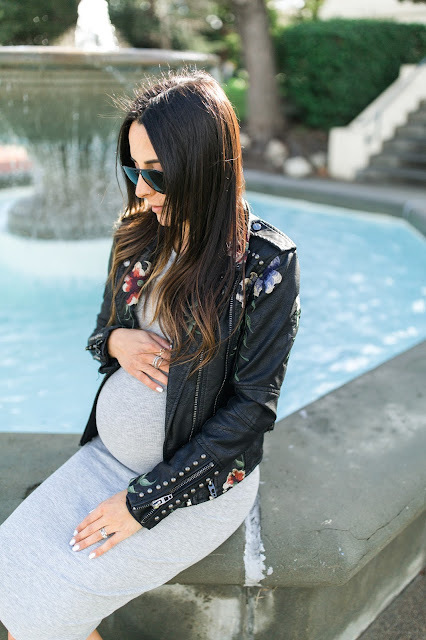 Another plus side is that jackets will always fit..even when you're 8 1/2 months pregnant!